Don't be fooled by the humble appearance of this Fruit cake, this is another must-have on the dinner table this Christmas! 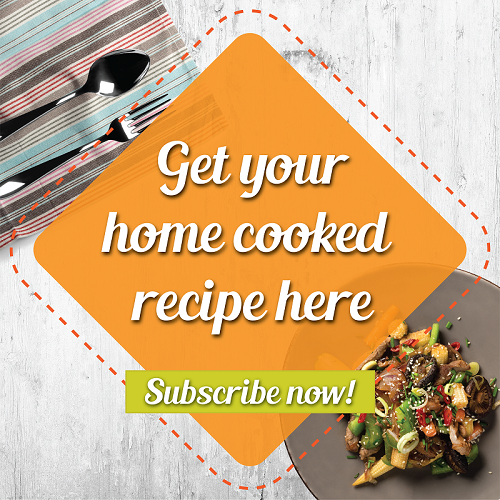 It is a simple and easy recipe to follow and Lona Low has spent a considerable amount of time perfecting this recipe to ensure the right texture, taste as well as colour! 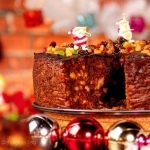 It is believed that Fruit cakes has a long history and has been around since Ancient Rome where Romans would use mix "pine nuts, barley mash, pomegranate seeds, raisins and honeyed wine and shaped it into a cake called 'Satura'." Flavour up your fruit cakes with your favourite liquor and you'll have a fruit cake that will impress and delight your guests! A pleasant surprise to our Christmas celebration! Why not try some fruit cake for yourself today! Oh and before we forget - remember to prep your scissors too because you're gonna need 'em - watch the full video to find out why! Wrap the cake with several layers to retain the moisture. 1st layer – clingy wrap, 2nd layer – kitchen towel, 3rd layer – aluminium foil, 4th layer – plastic bag. Store in freezer section. To consume, defrost on room temperature for 3 hours.